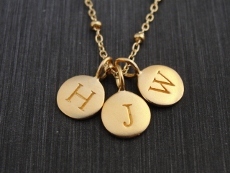 Gold Vermeil style tiny tag intials are hung from a gold filled satellite chain in 16" or 18" lengths. 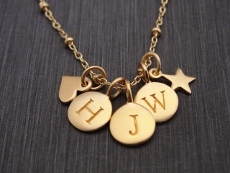 The tags are approximately 8mm and have a satin finish with a 24 karat yellow gold color. To order this item, please select a style, initial, and chain length. then click Add to Shopping Cart button.